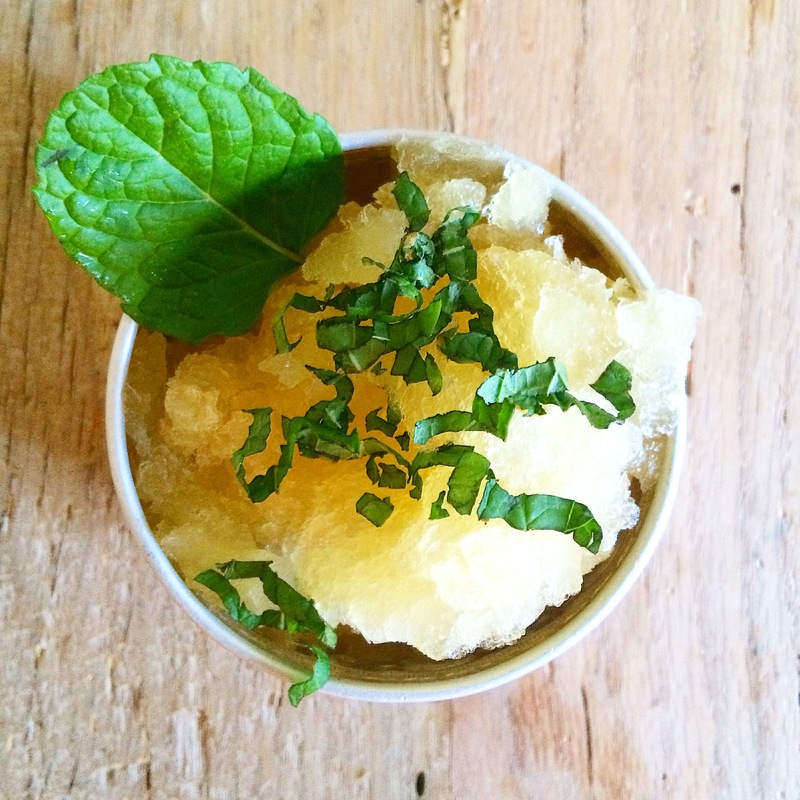 Granita is one of our favourite hot weather treats. This one is made with fresh pineapple juice and mint from the ELE kitchen garden however there are so many variations you can make to suit all tastes. Watermelon, strawberry and apple are other great options but any freshly squeezed juice works well. It is great as a simple dessert, a great palate cleanser between courses or a perfect pre-dinner treat poured over a dash of vodka. Warm water and sugar in a saucepan over a low heat until sugar is dissolved. Remove from heat and allow to cool. Once cooled add the juice and pour into a shallow freezer proof tray. Place in freezer for four hours or until partially set. Remove from freezer and use a fork to rake through the mixture until it is slushy, return to freezer and repeat the raking process after another 2 hours. Return to freezer until ready to eat, raking one final time before serving. Top with finely shredded mint leaves. Will try this at home. Thanks for sharing. Wow this is super easy. 😀 Will try this 🙂 Thanks for finding my blog.